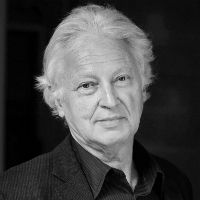 Raimond Gaita is Professorial Fellow in the Melbourne Law School and The Faculty of Arts at the University of Melbourne and Emeritus Professor of Moral Philosophy at King's College London. He is a Fellow of the Australian Academy of the Humanities. Gaita's books, which have been widely translated, include: Good and Evil: An Absolute Conception , the award winning Romulus, My Father, which was nominated by the New Statesman as one of the best books of 1999, by the Australian Financial Review as one of the best book of the decade and was made into a feature film starring Eric Bana, Frank Potente and Kodi Smit-McPhee; A Common Humanity: Thinking About Love & Truth & Justice, which was nominated by The Economist's as one of best books of 2000;The Philosopher's Dog, short-listed for the New South Wales Premier's Award and The Age Book of the Year, Breach of Trust: Truth, Morality and Politics and, as editor and contributor, Gaza: Morality Law and Politics; Muslims and Multiculturalism; and with Alex Miller and Alex Skovron, Singing for All he’s Worth: Essays in honour of J.G. Rosenberg. Who’s Afraid of International Law (edited with Gerry Simpson) and On Dignity will be published in 2012. Because he believes that it is generally a good thing for philosophers to address an educated and hard-thinking lay audience as well as their colleagues, Gaita has contributed extensively to public discussion about reconciliation, collective responsibility, the role of moral considerations in politics, the Holocaust, genocide, crimes against humanity, education (the nature of teaching as a vocation, the role of love in learning) and the plight of the universities.